We build exceptional HTML5 games for mobile & web browsers to take game lovers to the next level. 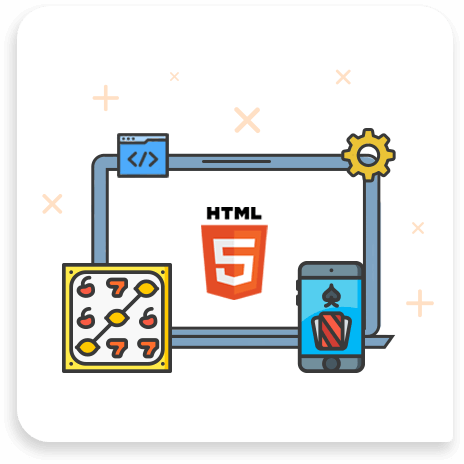 Get clean coded HTML5 game development solutions. With over 6+ years of experience, we’ve been developing mobile games using HTML5 game engine. Our developers with skills and understanding of frameworks developed cross-platform games apps like The Gold Miner, The Sorcerer, Bubble Shooter, Memory Art, Fishing Game & Drive Your Car, Katana Fruits. HTML5 game developers have developed a range of games for mobiles & PCs. We have more than 100+ HTML5 games that are incredibly developed using robust frameworks. Our team takes full advantage of HTML5 features to deliver dynamic, interactive & appealing games. For 2D & 3D web games, give an end to your curiosity at ChicMic.